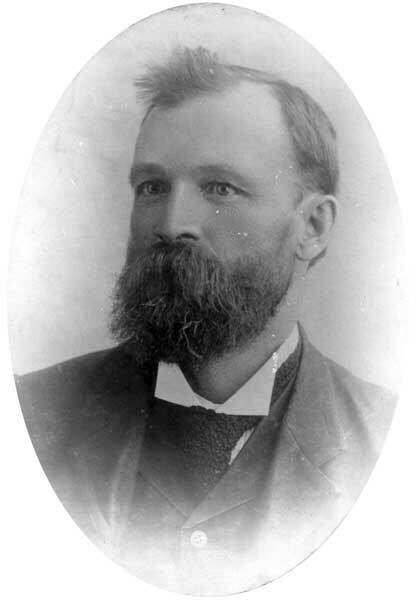 Farmer, MLA (1886-1888), MLA (1888-1892), MLA (1892-1895), MLA (1896-1899), MLA (1900-1903). Born in England on 3 July 1848, he emigrated to Canada in 1865 with Archbishop Robert Machray and established a farm in the Springfield district of Manitoba. He was a close personal friend of Colin Inkster and James H. Ashdown. Elected to the Manitoba Legislature in 1886, he was re-elected or acclaimed in 1888, 1892, 1896, and 1899 before being defeated in 1903. He married Margaret Matheson (1849-?) of Kildonan. They had nine children: Henry Smith (1875-? ), Frederick William Smith (1877-? ), Clarissa Smith (1879-? ), Marion Smith (1881-? ), Dollina Sarah Smith (1882-? ), Lucy Norah Smith (1887-? ), Thomas Howard Smith (1889-? ), Maud Alman Smith (1891-? ), and Ellen L. Smith (1892-?). He died on his farm on 14 June 1919 and was buried in the St. John’s Cathedral Cemetery.